I have noticed some changes in botanical names over the years, but apparently didn’t get the announcements, so I am just discovering them along the way. I think most gardeners figure out at some point that there is value in learning a plant’s botanical name because knowing that helps to ensure positive plant id, anywhere in the world. Even though some gardeners don't like botanical names and proclaim them pretentious, they know, deep down that there is value to them and it is worth learning them. To make sure that a plant has only one official botanical name, there is actually an International Code of Botanical Nomenclature that can only be changed by the International Botanical Congress. And, to make sure they don’t rush into any botanical name changes, they only meet once every 6 years and require a 60% or greater majority to make a name change. One of the changes I’ve noticed is with whole plant family’s name. When I first studied some plant taxonomy, we learned about the Pea Family, Leguminosae. You know, “the legumes”. Lovely family, pretty flowers, nice trees, flavorable beans, peanuts, nitrogen-fixing nodules on the roots? What’s not to like? Well, apparently the name of the family was not to like. I got a new botany book this summer and discovered that this family has been renamed to Fabaceae! Now, I don’t normally go around to garden centers to ask “do you have any plants in the Leguminosae family for sale?”, so I think I can live with this change. 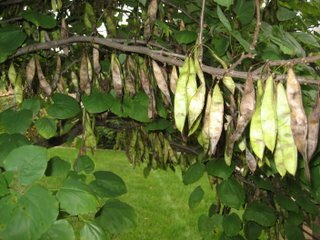 The picture above is of my redbud tree (Cercis canadensis) with lots of seeds, and they look like flat pea pods, because it is a member of the Legum… excuse me... Fabaceae family. 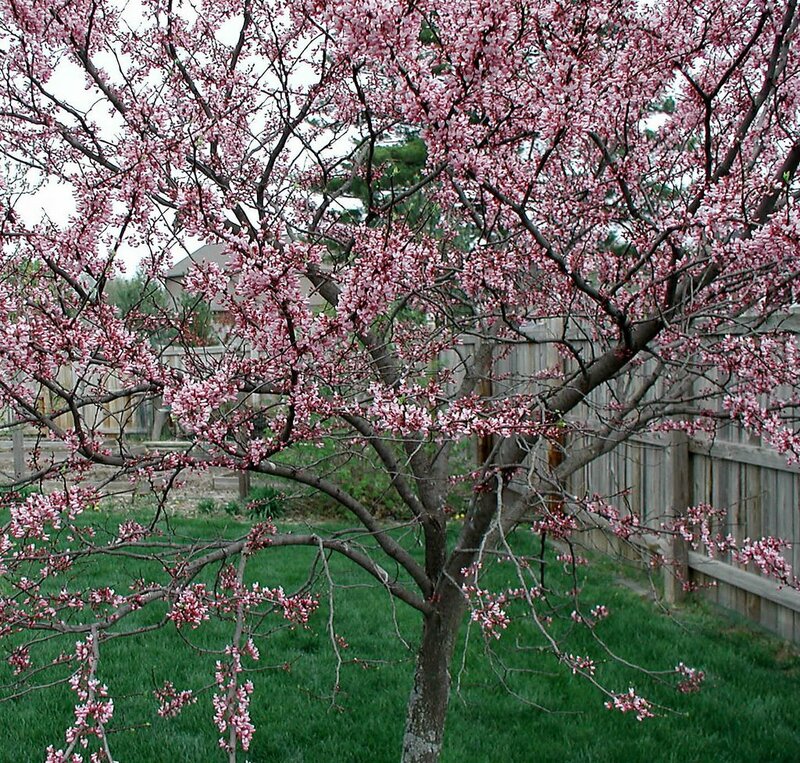 I put a picture below of this tree flowering in the spring. The flowers have that characteristic look of all flowers of the pea family. Some name changes are probably for the better, like the botanical name for Sweet Autumn Clematis. It’s blooming all over right now, though I don’t have any in my garden. 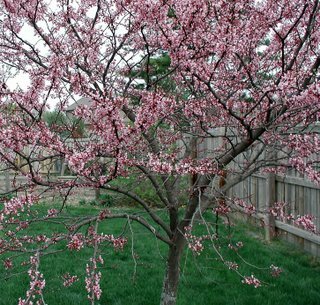 I generally see it in older gardens draped over other large shrubs or growing on a fence. I first learned it as Clematis maximowicziana, in a class where spelling counted. Ouch, that took some time to learn! Now, it is Clematis ternifolia. That I can learn to spell in a snap! Good name change. And then some plant names get changed because, well, no one wants them in their family, I guess. Poison ivy used to be included in the Rhus genus, but it and some of its kind, like poison oak and poison sumac, were put in their own genus, Toxicodendron. Sometimes, you just can’t reform members of the family, so I guess the best thing to do is dis-inherit them and move on. There are some nice plants in the Rhus genus, mostly the sumacs, and now they don’t have to be associated with their bad cousins. Any other botanical name changes I should know about, IBC? It appears that the ornamental native Snakeroots which used to grow in my former IL garden have been moved out of Cimicifuga into Actaea. They're now in with the Baneberries and Dolls' Eyes.